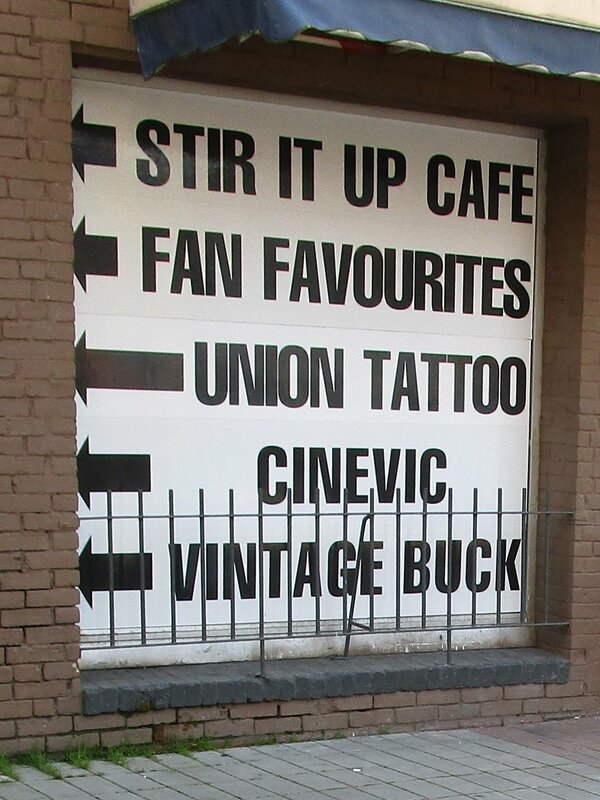 Odeon Alley isn’t just policed by Cineplex on the theatre’s north-side turf. The south side of the alley is both public and private, and defensive architecture runs the entire length. The older portion is owned by the City of Victoria, and Concert Properties owns the newer section. Despite attempts to make the alley a ‘people place,’ the City’s section includes designs to discourage people from sitting down in groups or skateboarding. And Concert Properties is happy to let you know that you can be arrested if you break their "no loitering" rule. The city was originally the sole owner of the Yates half of the alley, and they’ve posted signs to tell you to get off your skateboards and bikes. In case the warnings aren’t enough, metal clips have been installed on the planters to keep anyone from grinding on a ledge. I can’t spot the anti-skateboarding traps in this April 2015 photo from VictoriaPlacemaking, so they must be relatively new. A Concert Properties planter with the same anti-skateboarding clips. While they don’t own any portion of the alley itself, there are two other businesses using highly visible pieces of defensive architecture. A stairwell has been blocked off from every side – left, right, front, back, and top – with elaborate metal barriers. And a business at the southeast corner of the alley has put up a metal fence to block access to a ledge. A metal fence blocks access to a ledge in Odeon Alley. Not happy with that ambiguity, Concert Properties has put up signs to let everyone know that their portion of the alley is fake public space: if you’re on their side, you’re standing on private property. According to their signage, if you skateboard, trespass, loiter, or solicit, you can be arrested. Because there’s nothing to indicate that part of the Yates half of the alley belongs to a property company, and the rest belongs to the city, people could be forgiven for thinking the whole alley is privately owned. Especially in light of the “private property” signs littered throughout the Johnson half of the alley. Concert Properties’ sign doesn’t look ambiguous, but loitering laws are often selectively enforced against already marginalized groups. The result is that some people are allowed to loiter, and some aren’t. 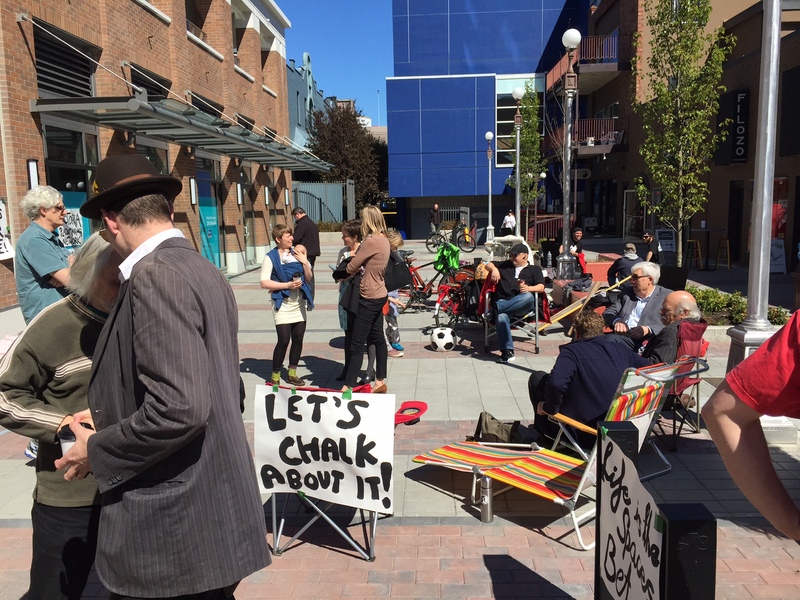 For example, VictoriaPlacemaking held an event in 2015 where people were encouraged to bring chairs and make use of Odeon Alley. The event had the support of Concert Properties. That’s a far cry from businesses’ history of aggressive responses to lower-income Victorians using the alley. Public space is for everyone, until a more vocal public decides they don’t want certain people using “their” public space.